Sorry, but I don't think I am going to expand this site anymore, because I'm finished with school and lack time. In this solution you will find information on how to never ever leak a single mob in Skibis Castle. It is made mostly for Classic mode, but could also be used for Turbo and Impossible. If you want information about a builder, please click on one portrait on top of the page. I'm sure there are still things I haven't found out about. If you want to help improving this guide you can write me any info using this formular: >click here<. 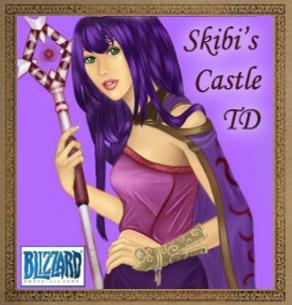 Skibis Castle is a famous Fun-Map in Warcraft 3 - The Frozen Throne. so they put it into the game as a standartmap. In Skibis Castle you guard a castle in the center of the map. The game consists of 45 waves - or 46 waves if you typed in the secret message. Each wave many mobs come out of portals from north and south. They try to get to the castle and decrease your teams lifes by one each mob, which means your team has to kill them by building the right towers and a good maze. In some minigames you can find "Secrets" - part of the full Secret. The Secret is a sentence which you can type by pressing Enter like saying something. Whenever you want in the first 40 waves of the game you are able to activate it. But actually the Secret Code is there to activate a bonuswave! 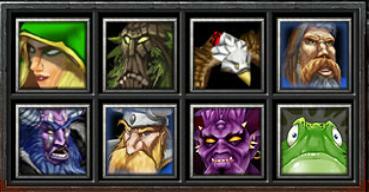 When you cleared all waves you can fight Emoo, a big taurenboss on each side. You have to write those 3 letters uppercase (R of Reaver, Y of Yoffin, N of Nilfast), otherwise it won't work. If you accidentally deleted your Mapfile you can download the Map eg from Download Skibi's Castle Map.